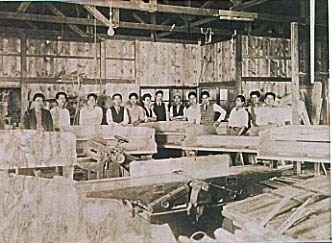 Kamata(Tokyo) factory at the time established. Yokohama factory at the time after world war 2. Establisher Mr.Kichiro Saito, who went to Germany to specialize in piano tuning and craft from 1919-1922, established Tokyo Kamata instrument factory and manifactured Buholts and Horugel pianos after his return from Germany. He established crele piano factory in yokohama and visited Europu again to see piano manufacturing industry in Western Germany. Espcially he got their close assosiation with Grotrian Steinweg piano company to learn skill of manifacturing pianos under their conduct. His company was rename as WISTARIA PIANO FACTORY from his emblem. He opend WISTARIA MUSIC ACADEMY next to WISTARIA PIANO FACTORY. He built and moved to a new factory in Yamato-city. His son, Seichiro Saito became a company president after his death. New president, Seichiro, established Japan Piano Tuning Academy in Yamato-city and tried very hard to train the younger generation. He opend Japan Music Academy in where Japan Tuning Academy. He moved his school to new campus in Tokyo, Shibuya. He renamed as Japan Tuning Music Academy and now on. President Saito's simplified personal history. 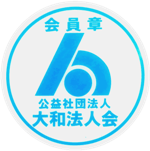 Aoyama-gakuin university of science and engineering major. Also he had lessons personally from Prof.Livre who is author of "Fuchkunde Klavierbau" that is treatise on pianos, becsuse he had roomed at Prof.Livre's home for 2 years while he was at school. He worked for HUG*4 which has the oblest history as a musical instrument shop in Switzerland, Europe under piano meister MR. Toma who is the inventor of slide rule for Baion also works for C.BECHSTEIN piano as factory Manager at present time. He worked for SCHIEDMAYER & SOEHNE piano factory*4 later, he passed a government examination of piano and harpsichord andobtained a qualification of piano meister*2 from Germany Government. In 1970, he opend WISTARIA MUSIC ACADEMY next to WISTARIA PIANO FACTORY. In 1973, after his return he started to train co-workers at the factory. In 1980, he established Japan Piano Tuning Academy in Yamato-city and tried very hard to train the younger generation. In 1992, he opend Japan Music Academy in where Japan Tuning Academy. 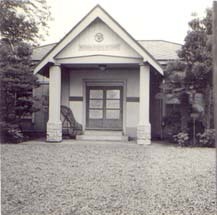 In 1995, he moved his school to new campus in Tokyo, Shibuya. 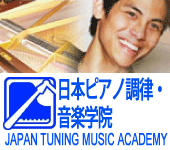 In 2003, he renamed as Japan Tuning Music Academy and now on. At the general meeting for the Kanto branch of Japan Tuning Association, he presented a lecture about "the latest circumstance of piano art in Europe". At the general meeting for the Shin-Etsu branch of Japan Tuning Association, he presented a lecture about "piano art in Japan and Europe". At the workshop of art for the Kanto branch of second group of Japan Tuning Association, he presented alecture about "the latest circumstance of piano art in Europe". There is a national collage tha has a history over 100years for instrument craft man in Rudisburg-city, Southern German. Also there are many majorof different instruments such as piano, harpsichord, pipe organ, brass and wood wind. And there is a Gaseren course for the examination of meister on each major. Ingermany all piano tuners must have a proper qualification documentation. Especoally piano tuners who worked for more than 8years in piano industory could obtain the night to take the examination for piano meister. It is needed to have this "piano meister" qualification to have a piano store and piano sales in Germany. Also piano company for manufacturing need to have a piano tuner who is qualified as "piano meister". In all of Europe and U.S.A. There are so many German piano owners around instrument in the industrial. all piano meister is very useful everywhere. Steinway pianos is very famous brand like bags from Luis Viton and cars from Rols Roys. Especially steinway's concert grand pianos are used for famous concert hall all over the world and 90% of Television Broad casting station in each countries as it is for today. It is no exaggeration to say that today's most of CD recording classic music is by steinay's piano. Steinway company was established in 1853 by Mr. Henly, German. He had a good relationship with famous sientist Dr.Helmholts. And this maker is applying a resound theory and hand made one by one at a time. While at the job, a lot of famous pianists such as "Claudio Arrau", "Christoph Eschenbach", "Tatiana Nikolayeva"(a head judge inathe piano division of Tchaikovsky concert), "Monique Haas"(a professor at Humburg National college of music), "Karlheinz Zoller"(a principal flutist of Berlin philharmonic Orchestra) except that worked for concerts and Humburg Natioal music college, North Germany broadcasting station. Also at that time "Wilhelm Kempff", "Rudolf Serkin", "Emil Gilels", "Maurizio Pollini", and etc, famous pianists visited the factory to select a piano for their concert. Especially, "Maurizio Pollini" is an owner of the record of the time spent on the selection of the piano. He had visited the factory with his wife to select the piano before the half a year of the concert. The time that he spent is about eight hours. Moreover, "Claudio Arrau" and "Emil Grigoryevich Gilels" chose a little classic piano of a tone settled instead of the sound volume's not going out. "Wilhelm Kempff" also chose the piano of the same tendency. On the contrary, "Rudolph Serkin" chose the piano with large sound volume and firm tone, such like the Steinway piano of US. In the conversation of the chief concert tuner of the factory, "Arthur Rubinstein" seems to have adjusted the pedal very nervously to demonstrate the effect of the performance that uses a right pedal and a left pedal. "Arturo Benedetti Michelangeli" seems to have stuck to the depth of the keyboard. His favor seemed to have been light, shallow keyboard. About "Walter Gieseking" and "Clara Haskil", they did not stick to pianos like lately. They just played octave part before their concerts.